Álvaro Rodrigues, former Africa's Vice President/ECD has been in the advertising field for 22. Throughout his career he has worked at big Brazilian and multinational advertising agencies such as DM9 Rio which one he also launched four years ago, Giovanni Draft FCB, Ogilvy, V&S/Y&R and Doctor Propaganda. From 2005 to 2012 he worked at Agência3. 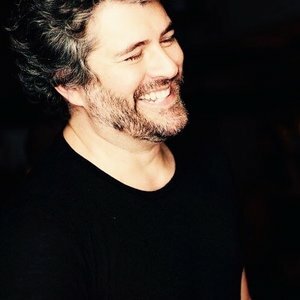 For seven years he worked there as Creative Director and achieved the President position for the other four, being responsible for making Agência3 one of the most sought after agencies in the national advertising market. Álvaro is currently Fullpack's Chief Executive Officer/Chief Creative Officer, one of the biggest independent ad agencies in Brazil. He has awards from practically all national and international advertising festivals including: Cannes, D&AD, The One Show, Clio, FIAP, The New York Festivals, London International Awards, Archive, The Cup and many others. He also stands out for having been elected Adman of the Year at Colunistas Award (2014), Rio’s Most awarded Copywriter at Colunistas Award (2013), Creative Director of the Year at ABP - Brazilian Advertising Association (2011), Advertising Professional of the Year at Colunistas Award (2011), two times finalist in the Creative Professional Category at Caboré Awards (2011/2014), Creative Director of Year at ABP (2008), among others. In 2010 he was a member of the jury in Cannes for the Radio category, which was the year Brazil was awarded its 1st gold Lion in the category. He was featured on El Ojo’s list of most awarded Creative Directors in Brazil in 2008. Cannes Lions once again invited him to be part of the distinguished jury in 2015. He had won 26 Cannes Lions so far. And 6 D&AD Pencils too. As a juror he not only participated in all national festivals, but many international ones as well, including Cannes (2010 Radio Jury, 2015 Outdoor Jury), D&AD (2014 Direct Jury), Clio, The Cup (Intercontinental Advertising Festival), El Ojo, FIAP (TV and Radio Jury President), Wave, LIA Awards among others. Between the years of 2003 and 2005 he was the president of Rio de Janeiro’s Creative Club. He’s the former ABP - Brazilian Advertising Association President. “Alvinho” as he is known in the Brazilian advertising market is a people person, a rock and roll lover and a passionate father of Manuella, a lovely 12 years old girl and Antonia, a 2 years old baby girl.